A robot kind of DJ voice! Frenzied pulsations and lively sequences which try to follow the beat while bringing nuances over it, "Beyond the Rules" sets the tone in an album which will make no compromise regarding its very dance orientation. Riffs of keyboard come to nibble this intense model of sequenced pulsations with evasive embraces, while electronic percussions make flout shouts of sirens in order to strike and weigh down this technoïd trance. Heavy, powerful and vibrating, "Beyond the Rules" undoes its dislocated spasms on an impressive meshing of resonant percussions, bass pulsations and jerky sequences where are entangled some layers of synth to the dissonant harmonies. It's lively and it's loaded of tones and effects which make even more attractive this model of vertical trance where heaviness and swiftness go hand in hand. Contrary to Jean Michel Jarre, Moonbooter is the objective evidence that it is possible to merge the styles of Électronica in a universe which respects the roots of its growth; Berlin School EM style. From album in album, the musician/synthesist/producer /DJ succeeds very well to mix his pallet of styles in a sound aestheticism which reminds me a contemporary Robert Schroeder. “The Wave” is a 18th album which this time is more centered on a model of dance and trance, without neglecting at all these subtleties so dear to the Teutonic model. The title-track offers a leaping structure with beautiful vocalizes and harmonies of synths as much ghostly as very allegorical. The rhythmic skeletons are boning the sequences which sparkle and dance in on a heavy and tenacious rhythm. Heavy Chill, like "Conductor"! "Welcome to the Past" is the most beautiful track in “The Wave”. The rhythm, although very pulsatory, makes beat the sequences with the insistence of a furious stubborn while the synth frees beautiful harmonious offerings which moan in effects of spirals and of psychedelic sonic graffiti. Between a down-tempo and a very poetic ballad, "Welcome to the Past" is going to infiltrate your ears and will take a lot of time before leaving them. "Flashback" is another track which is inspired by the Berlin School atmospheres but with a more swirling structure of rhythm which surrounds the subtle singings of spectres. "Meeting Mr B" is in the most tradition of the dance hymns of the 90's. I have the impression to relive the Franky Goes to Hollywood era. And it's even more true with "Tanzkaffee" where Bernd Scholl extirpates from its hardware synths some effects of real female voices that he creates that he built from analog patch. One would swear to hear a true singer. Here as in "Conductor" which reminds me enormously a forgotten band of the Synth-Pop years, Altered Images. "Lifetime" is a good down-tempo sculptured in very complex atmospheres borrowed from the catalog of the French sonic poetry, all the opposite of "Time" which oscillates between structures of Dubstep and of down-tempo. The intro is superb with this sort of old machine which sounded like accordions in the years where Paris got used to the lights and where a macaque amused the crowds. The rhythm embraces a kind of funeral march before spreading the beatings of a good down-tempo where are always slamming these metallic percussions. "Sonic in Space" is a fiery track. A kind of Acid House with a wild tempo unbridled by hyperactive percussions and flickered sequences which loosen some stroboscopic strands in beautiful synth pads, as harmonious as lively. The effects of the Vocoder add a very DJ touch to a track which competes with "Modern Tales from Ancient Circuits" to get the palm of the most lively, the most ardent track of “The Wave” which ends with "Final Essence" and of its surprising electronic structure which pounds under the numerous palpitations of a centipede with sequences instead of feet. The synths remain very Berliner, one of the big strengths of “The Wave”, with a good mixture of solos and harmonies which exchange the leading roles in an atmosphere very spiced by a beautiful pallet of emblematic tones coming out of the numerous possibilities of hardware synths. And after all; why be tied to the strings of a piano when the world of electronics is full of noises of its own? This quotation which is told at the very end of "Final Essence" explains alone the depths of “The Wave”. There is some excitement in the air. The air of the social networks! I did not want to write a chronicle about Jean Michel Jarre's last album. The one who was a big magician of sounds and of colors of the sound in the 70s has fell asleep, little by little, as the new millennium directed the art to make EM easily without, or with a little, a knowledge of its roots. Metamorphoses, Sessions 2000, Geometry of Love and Teo and Tea are all adventures which divided the fans of Jarre into three clans; the period pre Zoolook, the one of Rendez-Vous to Oxygen 7-13 and finally the period of Odyssey Through O2 to Teo and Tea. But fans insisted and one of them even send me a promo (thanks Carl) in order to talk, to write about it. So here I am! We heard of this “Electronica 1- The Time Machine” by means of a powerful commercial machine which has crumbled little by little the secrets of the album on the social networks, scattering to the passage the big names which would make part of the project as well as promotional videos. The craze got the upper hand over the curiosity when the name of Tangerine Dream, there is a whole parallel to be drawn here between both careers, fed the conversations of the Internet users which salivated at the idea of this unexpected, to say the least, collaboration. From what I heard and read over the Net, the basic idea behind “Electronica 1- The Time Machine” is to make an overview on EM, ages and styles, through a crowd of artists who were invited to complete the bases of Jarre music. It's a little bit like turning old into new! I found that very conceited. Like if Jarre proclaimed himself to be the Lord of an empire of which he is a pioneer among so many others. An important builder certainly, but a pioneer! And then the singles came. "Glory", "Conquistador" and "Zero Gravity". A rough draft of cold settles down. Heavy with a big envelope of down-tempo which turns into a mixture of dance and trance, "Glory" and its voices of synth-pop is hardly convincing. That rocks and it's a cheap Electronica, as it occurs to the ton since the beginning of the 90's. "Conquistador" is more convincing and awakes the forgotten skeletons of Zoolook while "Zero Gravity" and its livestock of sequences which parade at a brisk pace in lamentations of synth perfumed of Chronology and in synth pads and riffs to the fragrances of Hyperborea, we speak about Tangerine Dream here, is sounding terribly cold. But that remains appealing! And we guess that Jarre wants to go farther than his Teo and Tea period. And little by little the whole object comes to light. 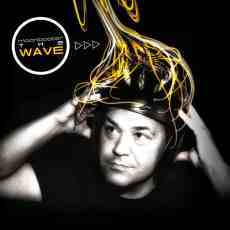 There will be 16 tracks and 16 artists, who are precursors in their ways dixit Jarre, for 69 minutes of music. We understand here that we have to forget to hear long sonic rivers with interstellar flavor (yes, that still exists). The names are big and give thirst! Air, Vince Clarke, Moby, Pete Townshend, Laurie Anderson, Massive Attack and John Carpenter! Admit that that impresses. But where are Schulze, Vangelis, Kraftwerk, Gottsching (if Townshend is there, Gottsching deserves to be there. Especially when we listen to the result), Eno. Ultimately Bowie! Has-been you will tell me? Then who are Anderson, Townshend and Moby? Still there, if the results were worth the justification. 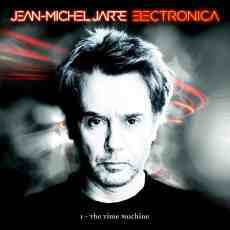 That rather gives the impression that Jean Michel Jarre tries to attract new fans by doors aside. But the final result is a big strike into water. And I am going to try to put things in perspective. 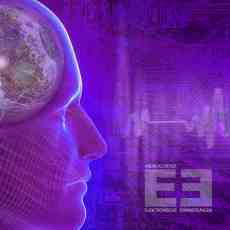 In the end, “Electronica 1- The Time Machine” is a good album. Don't get me wrong. But it's far below from what we could expected from the one who shook the columns of temples twice with Oxygene and Zoolook. Far below the big names which figure on it. It's lively. Well done and well crafted. There are lots of rhythms. It's the feast of Electronica with airs and arrangements which smell on the other hand the warmed. Imagine a collection of techno, of synth pop or of dance in a packaging of K-Tel and you have a little the result of “Electronica 1- The Time Machine”. I like the way that Jarre lies some samplings of his rhythms of Moon Machine and El Dorado in "The Time Machine", which is a real overview of the career of Jarre in a little less than four minutes (we have to do it and we hear memories of Rendez-Vous and Equinoxe there). It's indeed a catchy, a solid track which makes the mouth water. Afterward we fall in the candy pink with "Glory" and "Close Your Eyes", a beautiful track yes but which always stays in a tiny creative envelope. The segment "Automatic" brings us to the era of the too underestimated Chronology album. It's a good shot! The 2nd part is too much centered on the other hand on the model of electronic disco but that does not deprive it of its numerous attractions. I do not want to speak about "If..! ", nor of the very disappointing "Suns Have Gone" where Moby seems to have complexes to work with Jarre The same goes for "Watching You" where Massive Attack's 3D is still looking for himself. Even less of "Travelator, Pt. 2", which is a heavy fusion of rock, trance and techno for terrified zombies. I would have traded Townshend, whom I like a lot by the way, for Gottsching any time! "Rely on Me"? Ouf.... what a waste of time! And "Stardust" belongs to the Ultravox catalog. There is some nice shots! "Immortals" is a superb track which raises the paint out of the walls. There is a deep glaucous atmosphere around this track which gives it a unique cachet. The sequences flicker, the percussions roll and the arrangements are in the tone! The same goes for the very sinister "A Question of Blood" where John Carpenter's genius suits very well to these Halloween style sequences which swirl in all sense. We even accept these growls of guitar. That does very Mark Shreeve, period Legion. "The Train and The River" is doubtless the most brilliant track here. The piano of Lang Lang plots a latent madness which explodes as the atmospheres are more and more torpedoed by attacks of sequences and bangings of electronic percussions. From soft and meditative eaten by heavy and stormy moods which goes towards a very strong electronica, but a very creative one. It's strange, but this is the way I had imagine and hope Jean Michel Jarre to be. For ages! As you see, I am quite divided. You like rhythms? You like that when it moves, when it rocks? You are going to like this “Electronica 1- The Time Machine”! Me? I would have like that a little more of boldness ("Immortals" and "The Train and The River" are very nice examples) and of creativity. There are of beautiful flashes, but still it feels too much the warmed. A little as if Jarre was tired of reinventing himself and has leave this opportunity to others who in the end also try to renewed themselves. It's the best of Jarre since Chronology. Which is always good to see! 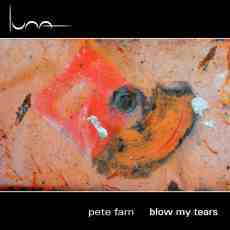 I had had the ears a bit fearful, and fairly painful, after my first experiences with the universe of PeteFarn's sounds. And I have to admit that they were of marble when my eyes have scrutinized the pastel colors of this “Blow My Tears” artworks where its abstract art releases more colors than the one of Cryptids which had a clear penchant for sci-fi. I anticipated, and rightly, an even more difficult album to access and I was not even at the end of my troubles. Before beginning, let's place the axes of this last Peter Schaefer's boldness which leads scrupulously the listener in the psychedelic lands of Zeit (Tangerine Dream)or still Interstellar Overdrive (Pink Floyd) with an approach which aims to be a book of ideas and a horn of plenty of sounds and tones in a universe of parallelism which lines the borders of a music which avoids all etiquettes. In fact this mosaic of sounds literally reminds me an orchestra of musical instruments of all sorts, as much philharmonic than of streets, which scatters through the mazes of a city where streets are so narrow that the echo of a fragment of this orchestra makes noise on the sufferings of another one. You follow me? Strange metallic singings (a sitar disguised as a bagpipe?) open the eccentricities of this last adventure in sounds and tones of PeteFarn. Already our ears feel assaulted by the introduction of "Blowing Up". Look for no rhythms nor for harmonies! The ambiences are at the top of their art with these origins of noises, of breezes or of sort of singings which drag the dusts of steel and of which the arcs of sounds are grazing the ears. The wearing of a headphone here is banned, so much the depth of the sound radiations is intense. As we move forward in the track, we indeed recognize a kind of sitar (a very metallic one) which crumbles its pinched chords in twisted ambiences where a kind of big tuba is blowing its nostalgia in some clouds of static prisms. It's slow and distressing with a direction (we speak all the same of ambiences here) which are totally diverted from their axes of passivity with abrupt movements. Violins and cellos cry in an indescribable din where a language, foreign for me, breathes life to a moment of Japanese-style tragedy in "Orang Orang". I wonder how Peter Schaefer does, but he managed downright to make the nothingness grimacing and roaring. But I know why my neighbors are kind of mad at me! It's necessary to lower the volume, because the moods become unbearable for some (Hello my love!). While "Stampferl" manages to be a surprise with a good rhythmic approach which touches Electronica, the track crumbles with a thick cloud of iconoclastic noises in our ears. So bad! The press guide announces that there are good surprises in “Blow My Tears”. That depends on the point of view that we are putting ourselves! The following tracks are all sound essays which are scattering tones, sounds and fragments of rhythms into unknown territories. "Udung" is the first track to really offer a homogeneous structure (a kind of very progressive free jazz) on its length. Afterward "Go! ", "Obö" and its delicious funeral march in a very avant-gardist New Orleans, and "Palästina", a superb structure of anything I have to admit, that I have choose to be played on our radio show in Montreal, help us a little more to discover a universe where the noise of sounds and the other side of music take quite an all new dimension. For adventurous and audacious! In fact for the eccentrics who like distancing themselves in a crowd with a thing which leaves absolutely its mark, its separation between two universes which are nevertheless so close one of the other one. I won't say it's not good, but it's definitely not my taste! 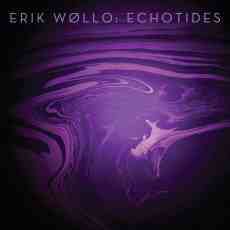 ERIK WOLLO: Echotides (2015) E.P. I like the music of Erik Wollo! The sonic bard of Norway made a success of the improbable in this universe; have his own sound etiquette that we hear only throughout his sources of inspiration. His inspirations are translated into guitar loops which he likes to put together into long sonic filaments for melancholic atmospheres. Forged in this concept, where he is also experimenting new devices and effects of pedals, “Echotides” offers seven reflections on tides and echoes, among which two main themes which are running on some subtle variations. An album bewitching with delicately enveloping rhythms, like always! It took time! But when I got it, I got it! Andreas Meyer is a new name which was blown to me in the ear by my friend Pierre (Alluste). At the very beginning, my ears had a little bit of reserve. They were timorous. The style was a little unusual and these sequences which flicker in shades a little bit vague have left me neither fish nor fowl. After 2-3 listening, I even thought of giving up. Hooked on Maxime Chatham's last book, "Ruhe" fell in my ears with its core of charms. And there I began listening to and finally hear all the subtleties and the nuances, in particular at the level of the variants in the sequencing, which make the long minimalist structures evolutionary of the Andreas Meyer's very first album an oasis of tonal charms where both poles of the Berlin School movement meet in a solid album full of seductive elements. The electronic memories are also these first seconds when we used to put a vinyl on our turning table and where the silence was covered by the fryings. It's by this way that Andreas Meyer invites us to dive into the universe of “Elektronische Erinnerungen”. Here, everything is delicate and the movements evolve with a good dosage of subtleties. A line of sequences extricates itself from the white noises in order to make its keys skip peacefully in morphic clouds. "Traum" establishes its minimalist structure which is of use as basis to a beautiful electronic duel where the breaths of ethereal voices and the breezes of synth, certain split into delicate dreamy and vampiric solos, are floating over the fine nuances of its ambient rhythm. Related tones, which we can associate with drops of prism frozen in the nothingness, burst here and there, sparkling in an ambient universe which is slightly perturbed by synth layers to the more enveloping wings. The influence of Klaus Schulze is very tangible in the shifting of these layers which little by little restructure the passivity of "Traum" into a kind of cerebral trance where the sequences, and their tonal disguises, feed a duel of quirky percussions with these prisms which sound like a concert of stars between our ears. It's a long insistent movement which eats the last three minutes of "Traum" and of which the shades will share the rhythmic effects of the next track. Particles of sequences, disguised like singings of birds, shine around the somber twisted shadows which feed the introduction of "Die Reise". There also, a troop of sequences in tones as much rich as an open-minded can imagine bickers for a structure of ambient rhythm which eventually has dropped a solitary line which fights with its resonant shadows. The movement remains ambient with a parade of sequences which skips in fine jerky oscillations, like a long stroboscopic snake, under the aegis of synth lines swollen with suspense. The waddling is hypnotic. Thus we forget a little this wave of sequences which comes down in order to flicker and chirp under the organic singings and the cosmic solos of synths. It's like a brief tempest in the eye of a static hurricane. Except that the play of sequences and the bangings of ice-cold prisms add a bit of charm to this strange ballet without choreography. Long drones filled with mists establish an ambient dark climate at around the 10th minute, restoring this link between both structures of rhythms which differentiates the evolution of "Die Reise". Here, the rhythm is livelier. It's more electronic with good sequenced percussions and lines of sequences which waltz such as a bird of prey scrutinizing the giant shadows of the American deserts throughout the charms of good synth solos. It's a strong second part! According to my tastes, "Ruhe" is the most beautiful track in “Elektronische Erinnerungen”. Solos whistle around the resonant layers of its intro. Spaced out pulsations sign an approach of rhythm which gets out of its den with some resonant paces of threat a little after the second minute. The approach is circular and this long rustling skeleton is hiding between our ears, creating a fascinating movement of goes and comes. Pulsations and murmurs of drones fill the space between the scrollings of this rhythmic skeleton, as well as solos which coo with singings perfumed of oviparous essences. Solos which isolate themselves and make capers on the beatings of percussions, guiding the second portion of "Ruhe" towards a superb structure of electronic rhythm as much melodious as those cosmic odes of Software. A strong moment of charms my friends! "Erinnerungen" offers a very funeral introduction with dark chords and lines of synth mourners which stuff a funeral march. The synth lines are shining of their rippling waves which waltz in sibylline colors, whereas lively pulsations, as well as their shadows, bring out "Erinnerungen" of its melancholic coma. From ambient dark, "Erinnerungen" is transformed into a kind of military techno where every pulsations' luster wake other electronic cosmic tones. That reminds me Moonbooter. But as each thing moves surely in “Elektronische Erinnerungen”, other sequences, more musical and certain even very ingenious, peck at this minimalist techno where always swirl these allegorical serpentines, and its woosh and its wiish, proper to a sonic universe which makes no compromise regarding its identity. Playing on our recollections of a universe colonized by Klaus Schulze, “Elektronische Erinnerungen” is a nice surprise which deserves the time to be discovered. Andreas Meyer, guided by Alba Ecstasy, amazes by this core of sequences, in the very diversified tones, which structures rhythms in constant movements. Those synths remind me enormously the universe of Software by decorating the ambiences of a very cosmic approach, uniting marvelously both bridges of a universe which always seems to have something of radiant to offer. And if the wonderful Sleep Awake wasn't anymore the best album of MoonSatellite! The strength of Lone Wolf is from an album to another, the synth wizard from Nancy overflies his style by exploiting at the most the capacities of his equipments. New ones as old ones! Always draped by this interstellar approach where the electronic chirpings of Jarre and Schulze merge in envelopes of cosmic rock tinted by French romanticism, MoonSatellite goes at the end of his resources to offer an EM where the vintage has always airs of Youth. Doubtless imagined in the dark corridors of Sleep Awake, “Whispers of the Moon” floats nevertheless at the other end of its specter with a livelier approach where the crystalline reflections of the shadows get loose and illuminate some great structures of cosmic rhythms always so exhilarating. Titan's breezes, a little like trumpets of the nothingness, jostle in our ears at opening of "Sequences are Beautiful". Tears of synth squeak in intense hummings, a little as if the galaxy switched off the lights of the lives, while little by little MoonSatellite throws the assizes of “Whispers of the Moon”. Faithful to the signature of the cosmic poets of France, Lone Wolf surrounds his structures of a thick cloud of tones all borrowed to the dialect of stars and its mother-homeland, the Cosmos. Waves of violins enclose our senses of slow morphic caresses, while always these stars paw the ground in the abysses of a more and more penetrating Black Hole. A line of bass trembles. The movement is suddenly weighted down by resonant pulsations of which the instinctive beatings of the keys scare off these sonic strands which unfurl like trains ghosts. The rhythm which follows is as ambient as anesthetic, as in a cosmic trance. The pulsations which resound are dropping some shinier shadows which sparkle in the heavy echoes of the beatings, aligning two adjoining lines filled of opposite charms and contrasting tones. The orchestral pads float like banks of astral mist or still like displeased murmurs of Titan's breezes and the pulsating keys spit an always analgesic rhythmic poison, making our senses slave by the charms of a tranquil rhythmic ballet where everything buzzes and implodes without ever overflowing. The final, tinted with the influences of the old Schulze and of a cosmic Jarre, brings us delicately to the morphic envelope of "Voices of the Moon". A short moment of rhythmic aphasia before that some crystalline sequences are making their impatient shadows spinning in the circular suctions of the Black Hole. The sonic embrace is especially immensely enveloping and very rich with pads of violins and faded voices which throw a veil as dramatic as very melancholic where are whistling delicate solos, quite hampered to disrupt the more or less dark ambiences of their secret harmonies. While the crystal clear sequences make shine their insistences of silvery jingles, "Voices of the Moon" sinks into a phase of peaceful turbulence with a superb line of bass sequences which skip like the Loch Ness fed for week. The synth tears float like gloves of organ, the jingles forge slugs to the twinkling singings and the percussions tame the big snake of the seas which shakes now of good nervous jolts. From ambient, the skeleton of "Voices of the Moon" becomes delicately lively with a structure of rhythm which skips in an intense sonic pattern where no second is forgotten in this art that has MoonSatellite to dress his structures of thousand attributes and splendors, in particular with beautiful solos filled by very airy caresses. And this, even in ambiospherical phases like this finale where cry these slugs in the embraces of the astral violins. If our demands are filled, our ears are always hungry. The best is yet to come! "Shadows" is the heart of “Whispers of the Moon”. Its opening sparkles like a concert of stars trying to communicate with celestial bodies. The reflections of this dialogue fill our ears of a shower which scatters scrupulously its silvered drops on a carpet of metal. We even forget this dance of sequences which alternate the measure in a kind of collective waddling, giving birth to a structure of fluid rhythm which undulates such as an interstellar train. And always these silvery drops! Percussions bind themselves, feeding even more the greediness of a structure which multiplies its shadows to thwart our ears. And always these silvery drops! Now they sing. They sing with faded voices, thus structuring the nerve of the multiple charms of "Shadows Part I-II-III". The rhythm softens its race, undulating more peacefully in an astral phase where the synths caress now this rain of prisms which always breaks us the heart of beautiful solos always very ethereal. It's the apotheosis my friends. If you like these convoluted cosmic structures of rhythms where the connections are made in the subtleties, you will be crazy about this album. And it's not over. No! MoonSatellite still caresses our senses with a nymphet which charms the astral elements of the finale. What a track! "Midnight Motion" takes back the road of our amazement with a spasmodic structure knotted around a swarm of swirling sequences among which the contrasting tones and the nuances in the oscillations spin, or gallop, as being sucked up by the greediness of the cosmos. Here still the sound wealth is always outclassed by the rich elements of the next minutes. "Shadows Part II" multiplies the charms of the first part with a rhythm always so lively but which is crowned of new attributes. The singing of prisms always strengthens this state of servitude of our hearing for this fabulous cosmic earworm. And quietly we go adrift towards the title-track and of its structure of breakneck pace which extricates itself from a long ambiospherical introduction. The alternation in the sequences, both in tones and in the jumps, is always so exhilarating. And it is even more when coupled to these chloroformed waves which invade the astral waves of "Whispers of the Moon". "Shadows Part III "ends “Whispers of the Moon” with a sweet cosmic down-tempo where the orchestrations replace the singings of the prisms without hiding all the effects of charms. Solid my friends! “Whispers of the Moon” is a solid album where the wealth of the sonic envelope and the nuances, both in the ambiences and in the rhythms, is making of it an album of a rare intensity. An album which has the gift to amaze at each listening. Don't you find a nice parallel with MoonSatellite's albums? The rhythms, as ambient as lively, live in an electronic placenta which gets fresh ideas in every new bubble of life which bursts on the horizon, making of this album an inescapable in the kind of cosmic rock rooted to the French School. And I think of it suddenly.... 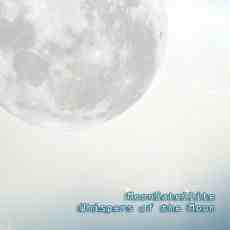 If “Whispers of the Moon” would not either be the best of MoonSatellite? I would not be the first one surprised because this Lone Wolf has a heck of talent! From the first seconds of "Soft Summer Rain" the Redshift signature for dark moods is gobbling up our brain out! The rhythm and the life take shape through breezes which are lost in dark industrial ambiences. Felted explosions, knockings of clogs, pulsations and abstract sequences, which answer to their echoes, are shaping an ambient rhythm which tries to take root with its scattered tentacles. Murmurs of a bass line breathe over this ambient anarchy, releasing big snores which chew a line of rhythm divided of its chaos. The movement remains magnetizing with a thick cloud of sequences which skip as imps and their hooves in a figure of a rodeo for dwarfs Capuchin. "Soft Summer Rain" becomes heavy and black, as a Gothic ballad, where sequences lost in the snores are eventually weaving a strange melody while another storm of sequences comes down to break up our loudspeakers and crush this portion of melody nevertheless more devilish than seraphic. Some people will say that it's not music. I'll say that it's the pure magic of the analogue world; build a life from nothingness! 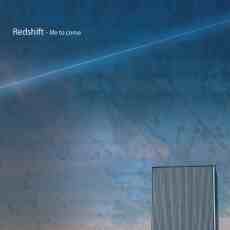 This last opus of Redshift was more than unexpected. It was madly desired for years! In fact, many of us thought that the adventure was well and truly ended. Arc took over with two wonderful albums which are marked of the Redshift seal. And even if there was Colder in 2011, we have to go back as far as 2008, with the boiling and incisive, Turning Towards Us to have new and original music to put between our ears produced by the mythical English entity. And it's Ian Boddy, the partner in crime of Mark Shreeve in Arc who gave the game away with a tweet on Twitter which announced a return for Redshift. It was like to put of the fire to a powder trail! The combustion sowed a kind of collective enjoyment and all the fans of EM were looking forward to this “Life to Come”. Me, the first one! And what a feast my friends.... Heavy, powerful, dark and fiendishly melodious, this last opus of Redshift inherits from the past of Mark Shreeve who, once again, raises the standards of excellence for all those who aspire to the Redshift throne. The big Moog Modular spits the fire and the effects of its reverberations find echo in a tumult of sequences which have difficulty in containing the proposed structures of rhythms. The atmospheres are chthonian and remain soaked with a somber industrial veil unique to Redshift. I have listened to it several times, to dissipate all the doubts of my fanaticism towards Redshift and Mark Shreeve. My first idea changed in a certainty; “Life to Come” is a pure master work! It's one ton of bricks in the face and I savored with delight this magnificent fusion of both entities where Mark Shreeve, of his Assassin and Legion eras, is watering a Redshift always so dark and loud of a literally more harmonious water. By doing so, we have the best of both universes of England School between our ears. And if the ambient, but always howling, structure of "Soft Summer Rain" doesn't convince you, what is to follow is going to destroy your doubts! "Vampyre" spreads its cloud of sonic intrigues with breezes coming from hell. An electric piano begins the drilling of a ghost melody which scatter its chords in fogs filled of white noises. A rattle titillates our ears in the background. The approach radiates these of Rick Wright's evasive melodies, while the hooting of spectres infiltrate insidiously our ears. The voices are as much beautiful and the piano is so much dark. While this contrast exhilarates our senses, a movement of sequences knocks down its keys which gallop at good speed now. The rattles become rolling of industrial percussions which push in the back of the galloping keys. And Mark Shreeve settles his tenebrous moods. A delicious guitar makes counterweight to this structure of rhythm which seems so threatening, scattering its harmonious loops in the doubtful chants of the spectres. The bass line breathes a second life at this structure which will keep the course of a steady rhythm where the sequences flicker keenly in the slowly undulatory breaths of the bass line. Between a heavy, sometimes explosive,and a fluid rhythm, decorated with sonic intrigues, "Vampyre" weaves a beautiful bridge between the initial works of Mark Shreeve and the somber paintings of Redshift. The basis of “Life to Come” is anchored well and truly. It only just needs to fix its ornaments. "Mission Creep" wears judiciously its naming. Its intro is forged in the tumults of the spectres who decorate hell. A fascinating pattern of rhythm emerges from it a little after the 2nd minute. It skips as in a kind of heathen trance with nervous pulsations which are knotted with the bangings of bones and the jingles of chains. The effect is intrusive with a heavy structure which feeds on its echo and from where is coming a superb melody of horror which will leave its traces many hours later. Yes, Mark Shreeve will have never fed so well Redshift! A short track full of spectral atmospheres on a heavy and vindictive rhythm where sequences are forged in the hammering of silversmith's trade which tames the assault of these moods, "Bloom" leads us to the pinnacle of “Life to Come”. Pulsatory heavy and humming sequences are dancing with jingles. Our ears hear well this mooing of the darkness, but our senses remain oriented to this feverish dance of sequences which fidget as spasmodic skeletons. A shadow of a melody lies down with dreamy chords, except that we feel the breath of the beast. The murmurs disorientate our senses and we feel that "Slam" is going to get wild. And it does! Of its long evolutionary structure, which feeds on many bites left for crumbs up to here in “Life to Come”, "Slam" travels between two universes with a structure always near the horror and near these macabre atmospheres. The rhythm goes and comes, always bent in the rotary arcs of the sequences movements which flicker like fireflies racing in a long oscillatory tube in order to flee the light. Avoiding the din, as much as the peace of mind of the harmonies sung by horned angels, it opts for a wild race at around the 6th minute. The rhythm becomes then explosive with a troop of analog sequences which avoid the bites of the percussions in order to run wild beneath a thick cloud full of fanciful violins. The flow of the sequences is as much indescribable as being breathtaking for the senses. Lost, a line of sequences makes jump up and clink its crazy keys in anarchic jerks 2 minutes farther, restoring some gas to "Slam" which runs again to lose breath and always by stepping on the accelerator of the indecision. This is huge Redshift my friends. "Circling Above" moderates the moods with a long dark introduction which flirts with gothism. Percussions dance a little before the point of 4 minutes. Sequences come to peck at this soft rhythm with the effects of attacks from giant flies. And while our ears are centered on this surprising meshing of ambiences, the rhythm spits a strange poison of white noises. It's heavy and vicious. The chthonian choruses add to the intrigue while the track fetches refuge in a very theatrical mooing. The title-track reborn again out of these ashes, throwing an ochred mist where are shouting the sparrows along with the hooting of spectres. The synth pads, and this is as in every corner of “Life to Come”, are as much black than weighty, wrapping an intro in a shroud of horror where will gambol a superb melodious approach which is knotted in suspense. That does very Mark Shreeve. That does very Legion and that feels good. And it also ends a splendid album which plays in loops in my cd player for already one week. “Life to Come” is a huge album my friends. It's a huge work from Mark Shreeve who does everything here. An inescapable and undoubtedly the best of 2015 which nevertheless showed some solid albums here! Yes, a big year for EM! There was only missing new music from Redshift and it's now done. Hat to you Mark!